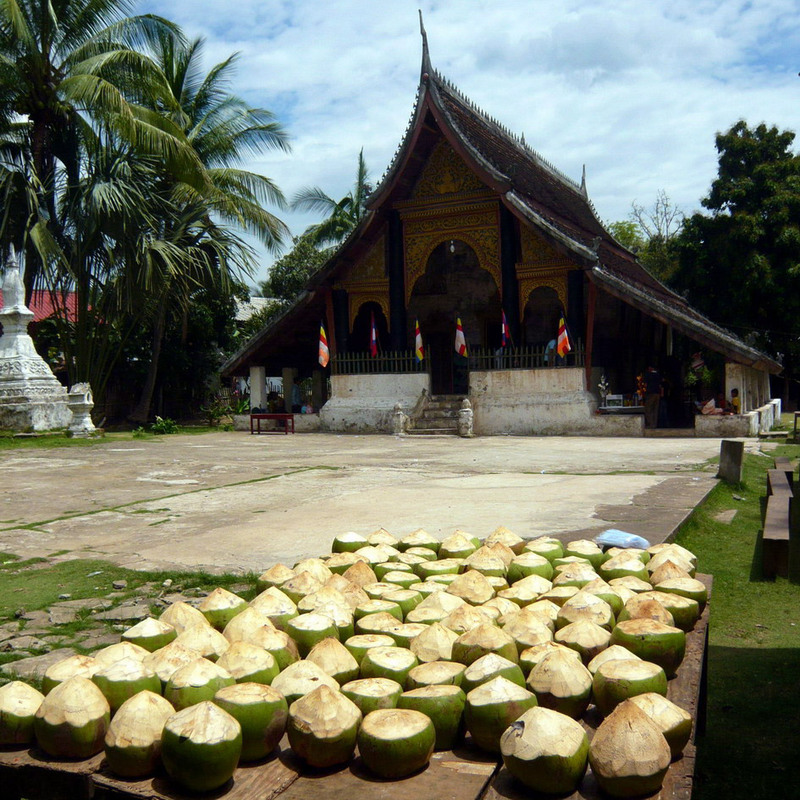 Close to the Post-Office, the Wat Ho Xieng, with the 30 novices. 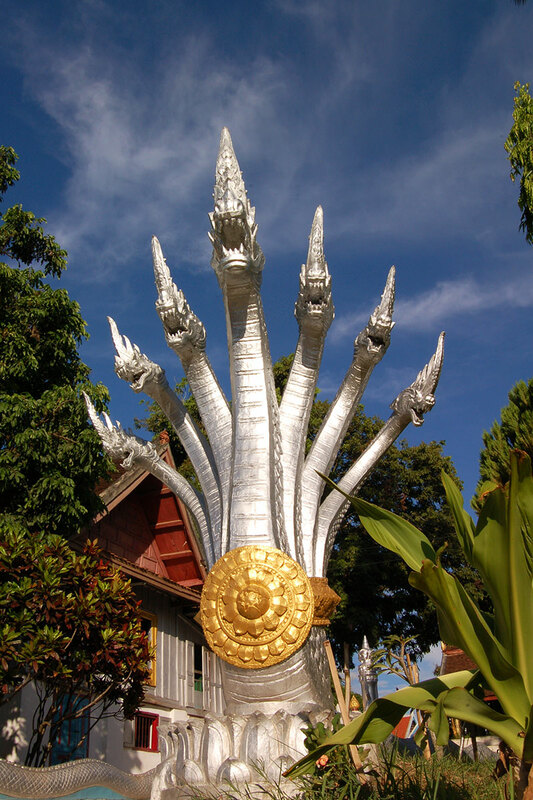 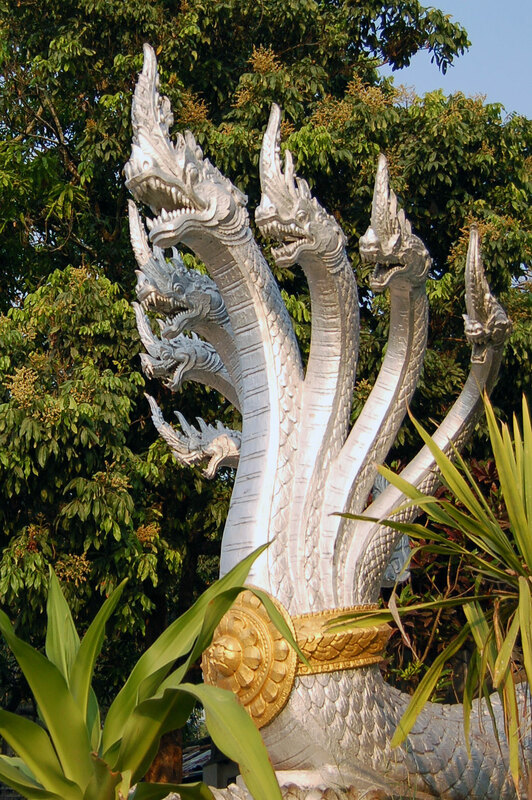 This temple was called on to honour a ceremony which took place in 1548 and was presided by King Setthathirat. 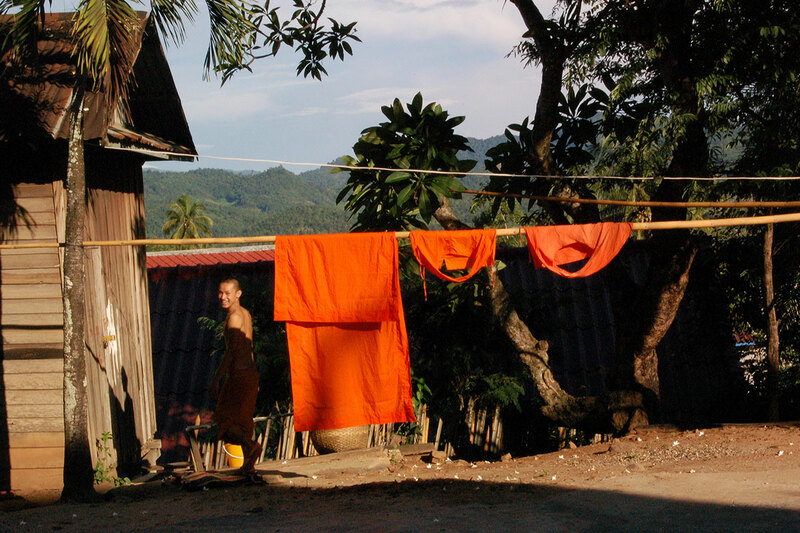 Carrying the same name as the Ban (synonym of village or district), the Wat Ho Xiang accommodated about 30 bonzes, in 2008, of which 4 are very respected and also one "female bonze" (a woman having assumed a white costume and a shaven head, and whose role is mainly to serve the bonzes for certain household jobs; there are not many of them in the pagodas of the centre of Luang Prabang; they mainly stay in the Phon Phao Temple). 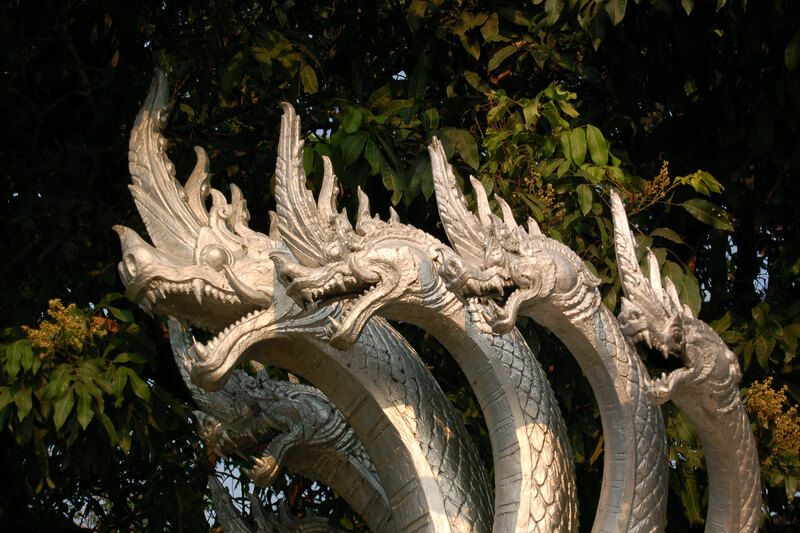 If the simple style of this monastery is no different from numerous temples in Luang Prabang, the ‘Nagas’ (or water snakes) who protect the entrance, as well as the paintings inside and outside of the main pagoda, are perfectly conserved and have certainly been restored in the last few years. 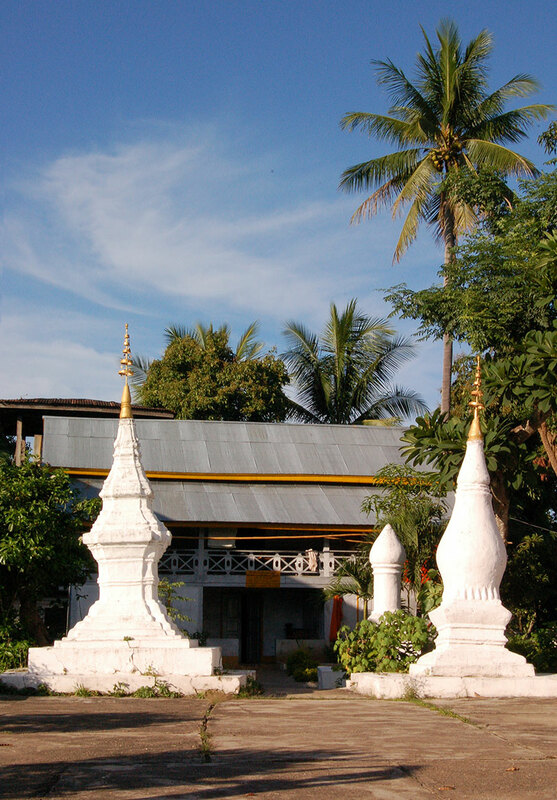 During its history, this temple underwent many renovations, the first dating from 1823-1824. 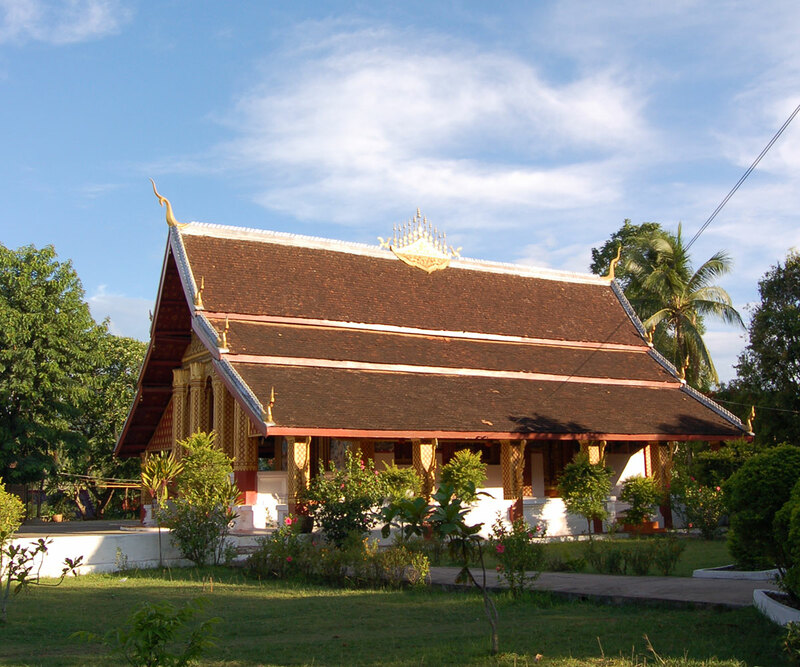 It was destroyed in 1900 during a violent storm and was reconstructed during the colonial period, when the temple was situated on the site of the hotel Phousi and was destroyed to leave space for a building that the French used as a residence for important authorities and the oldest hotel in Luang Prabang. 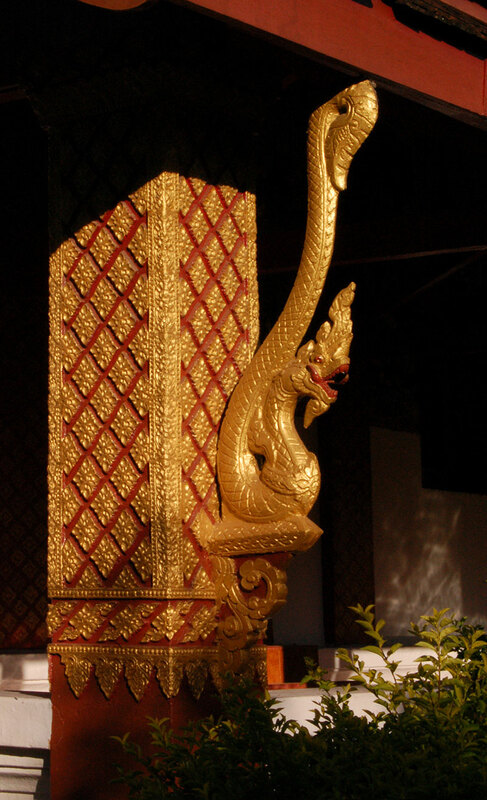 The octagonal exterior pillars of the pagoda, covered in gold, were added in 1952 (historically, they were white and square), whilst other restorations were done in 1973, 1990 and in 2005 when all the golden parts were freshened up.